These days most homes and offices have at least one iPad or Android Tablet per person. Used extensively by sales staff and extremely popular with small business teams, these handy electronic devices can assist with keeping records and processing transactions while your recipients are on the move. That's why we've extended our compendium range to feature an excellent assortment of custom decorated padfolio products that can also safely house your digital tablet device. 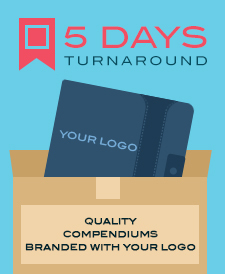 Depending on the surface of your preferred tablet compendium we can offer an extensive range of branding options to get your logo design, or slogan noticed every time your recipients take out their padfolios! For standard and budget styles, pad and screen printing are popular options. Our experienced team will then print your design using inks onto the compendium's surface. Units with leather outers can also be blind embossed, allowing for a subtle but permanent branding of your logo directly into the folio's outer material. What is a Tablet Compendium? Our range of tablet and iPad compendiums combines the standard accessory slots and notepad available in most compendiums with a sleeve that can fit your tablet device. The resulting portfolio allows you to carry your tablet with you while you take notes on the move or attend corporate functions outside the office. These compendiums are especially popular with sales teams as they allow tablets to remain safe and on hand while still allowing sales staff to jot manual notes. Budget style ipad cover suitable as corporate gifting. iPad and Android tablet custom printed padfolio. We can have a compendium made just for you that is tailored made for your tablet size. This is a great option especially if you are after a larger than usual amount of branded compendiums for tablets. Starting from 500 pieces we can create an option for you just in the size you like. Better still the price per unit is also lower. The turnaround time is 9 weeks with partial delivery available via airfreight at 4 weeks. To find out more just contact our friendly team. Tablets do have a bit of weight to them. Combine that with the fact that your compendium will be used to store anything from calculators, pens and notepads and even phones then you will need a product that has the durability to store contents without bursting. Our compendiums made especially for tablets are seemingly slim line products however they have heaps of room for all your contents to be stored within the compendium. If a quality product that is durable is what you are after then you cannot go past this range. We deliver our compendiums within Australia only. For overseas purchases pick up is available from our warehouse. 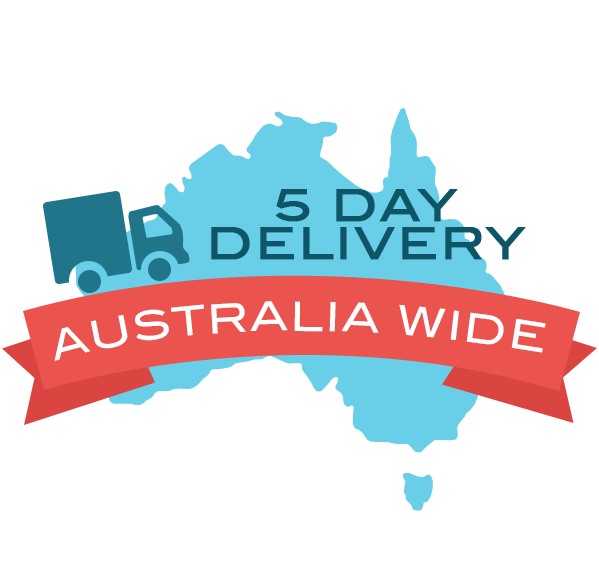 We deliver to all the states within Australia and generally is around 2 weeks although timing may vary depending on availablility and location. Please do ask our friendly sales team in advance. If you need your tablet compendium custom branded with your logo sooner simply contact us and we would be glad to assist. To obtain a sample of our product prior to a bulk purchase order we simply charge the lowest price bucket cost and delivery. A pre production sample is also possible too if you would like to see the product branded with your images and graphics. A pre production sample does cost extra time and money so please ask us to enquire.